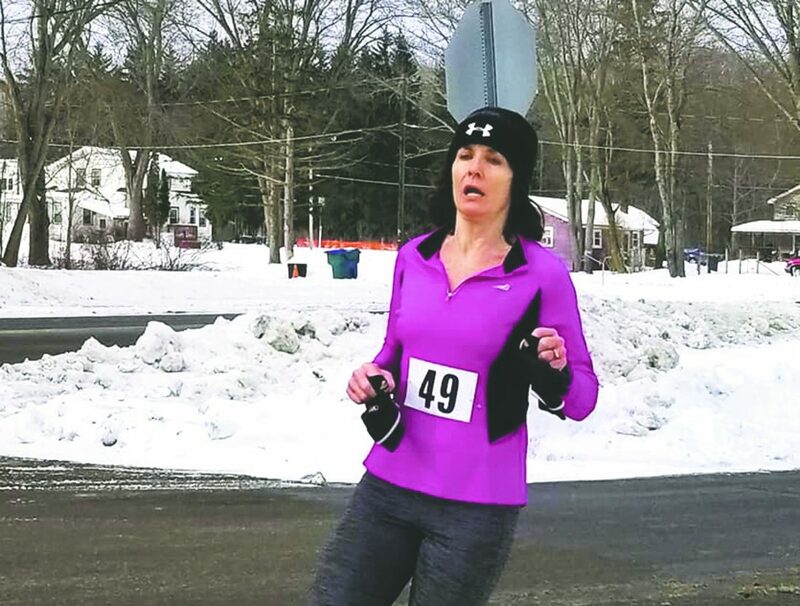 Submitted Photo Kathy Gustafson (above) repeated as the top age-graded runner in 2019 for the Chautauqua Striders Winter 5K Series. Kathy Gustafson repeated her top age-graded runner status in 2019 with another overall victory in the Chautauqua Striders Winter 5K Series. Rounding out the top five were Brooke Adams, John Gustafson, Katie Zwald and Greg Brink. The five week series scores the the runners four best age graded scores. Basically, age-graded scoring allows all individuals within a race to be “scored” against each other. That is done by first comparing the individual’s finish time at that particular race distance to an “ideal” or best time (not necessarily the “world record”) achievable for that individual’s age and gender.